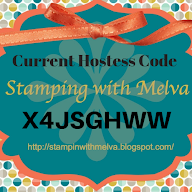 Stamp with Melva: New Stampin' Up! Ads - Aren't they great! New Stampin' Up! Ads - Aren't they great! Stampin' Up! is doing some advertising in some Canadian magazines. Have you seen them? I picked up Chatelaine the other day and found one. This is one of the new ads, isn't it great. The instructions to make these lovely flowers is available, just email me and I'll send you to them. You may have seen a previous posting of mine that included a small version of the flower on a Christmas card. 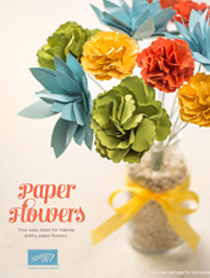 The flowers are really beautiful and very easy to make. Stay tuned the other SU! ads. Check out the new MDS2 Video! 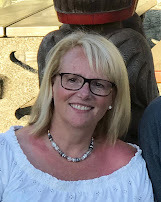 Did you notice my new blog banner?